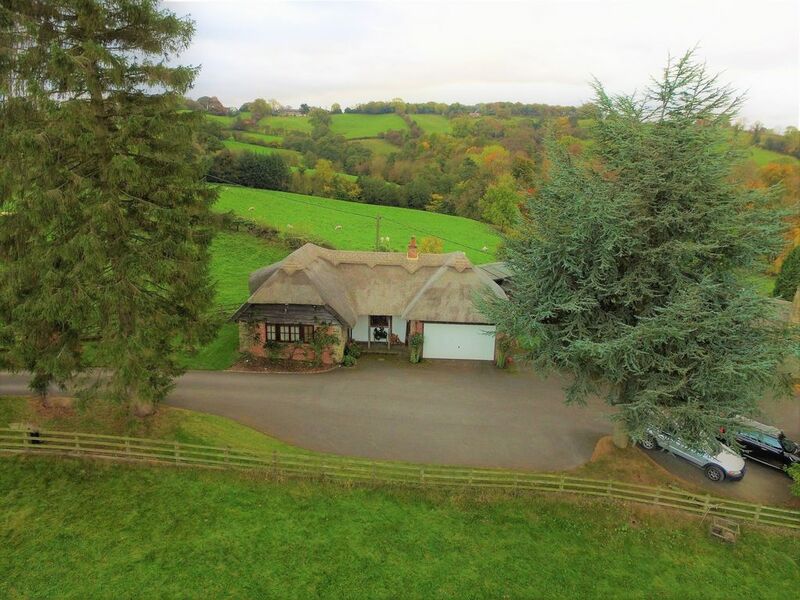 Little Thatch é uma casa maravilhosa, tranquila e isolada na paisagem deslumbrante mas ainda com fácil acesso a várias cidades de mercado e muitas outras amenidades locais e bares nas proximidades de fácil acesso. A casa está idealmente adequado para dois casais em dois quartos king size de banho ou uma família com dois filhos em duas camas que podem ser facilmente organizados. O estacionamento é amplo e conveniente em frente da casa e do jardim privado é acessível a partir da sala de estar e cozinha e vista para os campos de rolamento, uma armadilha total de sol em bom tempo! Wi-fi está disponível para acesso em Little Thatched Cottage. Please contact Cynthia White direct for further queries or to make a booking. Casa de banho piso térreo tem aquecido rail, wc, bacia toalha de mão de lavagem e banho com chuveiro. banheiro do segundo andar tem wc, lavatório e banheira com chuveiro de mão, aquecedor de toalhas. Notas sobre alojamento: A casa tem piso de carvalho maciço em todo e é mantido a um nível muito alto .. Lado de fora: O jardim do terraço privado é acessível por a cozinha ea sala de estar e tem vista para campos ondulados. Há mobiliário de jardim e espreguiçadeiras disponíveis para os visitantes usam e uma churrasqueira a carvão. Há uma área de grama ao lado da casa onde o sol da manhã pode ser apreciado. Serviço de limpeza / toalhas / linho / empregada doméstica: Todas as toalhas, toalhas de chá e roupa de superior, fornecido. De outros: Escadas fora da cozinha levam até um pouso para o quarto no andar de cima. The cottage is so beautiful and in an idyllic setting! Tranquil and calm. Little Thatched ligt vlakbij de doorgaande weg tussen Ashbourne en Belper, maar je waant je in the middle of no where. Beide stadjes hebben een leuk centrum, winkels en supermarkt. Daarnaast is de omgeving en het Peak district een aanrader voor natuur, landhuizen, wandelen en fietsen. What a beautiful cottage. Everything you could wish for including big fluffy white.towels in the bathrooms. The owners made us and the dog very welcome and we were spoiled for choice as there is lots to.see and do locally. We cannot recommend this cottage too highly - wonderful. Many thanks for your comments,it was a pleasure to have you all and Molly to our thatched home in Derbyshire, you were such a happy foursome and we are so thrilled you found 'Little Thatched Cottage' so welcoming, very best wishes to you all. Such a lovely, peaceful retreat. Incredibly well equipped and comfortable, clean and cosy. A wonderful warm welcome from Cynthia and David, very reassuring and made us feel at ease. We had a great Easter weekend exploring the Peak District with the children and dog, this was the perfect base. Had a fantastic week at the 'little thatch' cottage. It was like a home away from home, everything you could have wanted was provided. The location was perfect for all the attractions we wanted to go to e.g. Alton Towers, Heights of Abraham and Carsungton Water. My girls, aged 4 and 11 thought it was brilliant, loved the bedrooms and 'real' log fire. The nearby town of Belper had everything you would need and a good selection of pubs and restaurants to visit. The cottage was immaculate and so cosy, beds were so comfortable. Cynthia and David were excellent and came to check we were ok after we had settled in. Definitely booking for next year, can't wait! Manchester Airport (45 milhas) e East Midlands Airport (15 milhas) O uso de um carro é essencial como mais próximo amenidades, lojas, bares etc. são até uma milha de distância. A aldeia mais próxima é de três quartos de uma milha de distância. A casa está situada num ponto equidistante entre Ashbourne, Belper e Wirksworth todas as quatro milhas de distância. A loja local é de duas milhas de distância para jornais, leite etc. Carsington reservatório é de três milhas de distância, onde há Visitantes lojas, aluguer de bicicletas, parque infantil, clube de vela, santuário de pássaros e passeios deliciosos. As casas senhoriais de Kedleston, Chatsworth House, Sudbury Hall e Haddon Hall são todos de fácil acesso como é Bakewell famosa por suas tortas de Bakewell. I would welcome you to send an enquiry by using the quest the owner option if you have any questions prior to requesting to book. Booking Notes: A deposit of 50% is requested on booking, the balance payable four weeks before the commencement of the holiday, this payed direct by arrangement with the owner. Please ring on 01773 550 277 to discuss, no payment or extra charges through this site. Changeover Day: The changeover day is usually Saturday in high season but otherwise flexible and short three night breaks are a speciality, please consult the owner direct on 01773 550 277 if you have further queries or would like to make a booking. Notes on prices: Rentals are for a minimum 3 nights for up to 4 people Winter to Premium rates. Dogs are not encouraged but are accepted on request when well behaved!